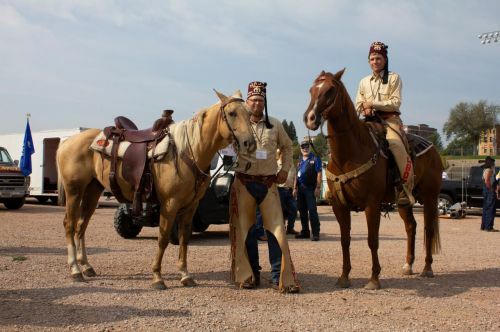 The Midwest Shrine Association held their annual conference in Deadwood South Dakota last weekend. 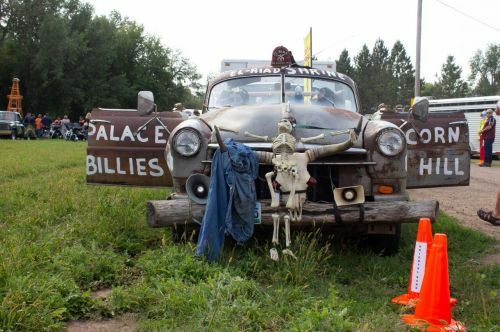 A total of 14 Shrine chapters were represented hailing from Iowa, Minnesota, North Dakota, South Dakota, Wisconsin, Saskatchewan and Manitoba. 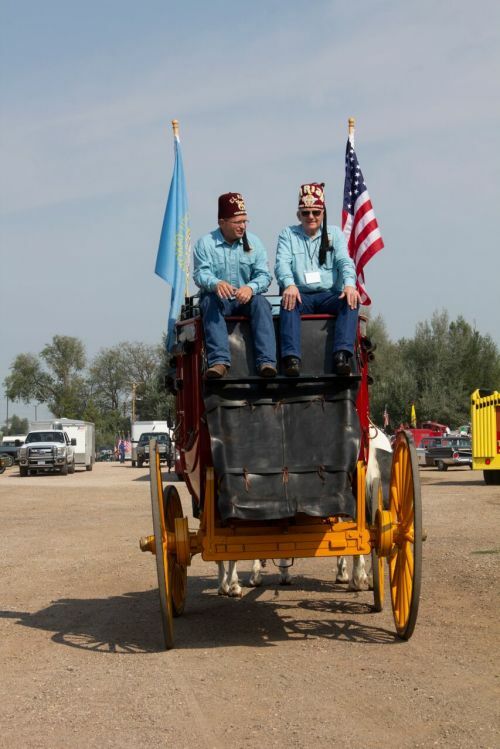 El Zagal and Kem shrines were in attendance proudly representing their North Dakota chapters. 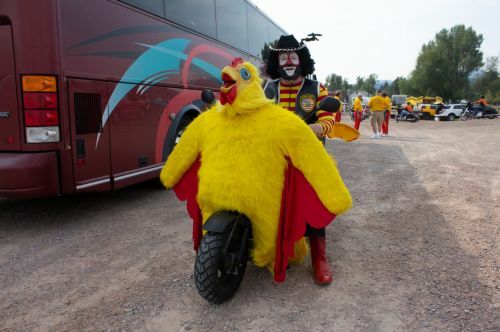 Attendance for the summer conference usually ranges from between 2,000 and 2,500 Nobles and their Ladies. 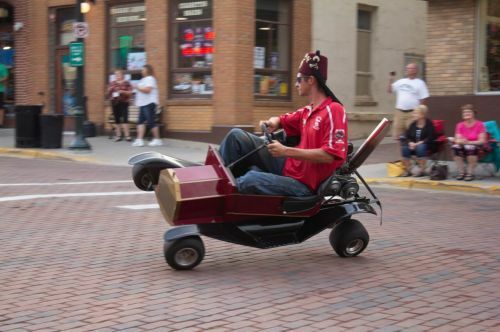 The Shriners hosted two parades in the Black Hills this year, one in Deadwood and the other in Spearfish but they weren’t just limited to big men in little cars. 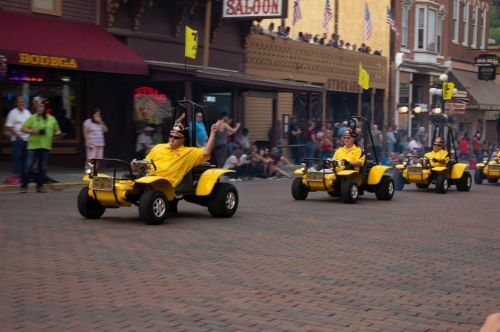 Imagine groups of dune buggies, ATVs, a motorcycle corps, and of course the iconic little cars zipping past thrilled parade watchers circling each other in elaborate figure eights. 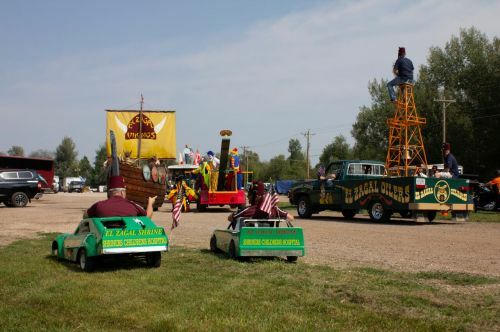 The parades included horse corps from both Sioux Falls and Deadwood, antique cars, rat rods, calliopes, chanters, flag corps, a steel drum band, a fife and drum corps, a viking ship complete with vikings and a host of other unique displays establishing a distinct identity to each chapter. 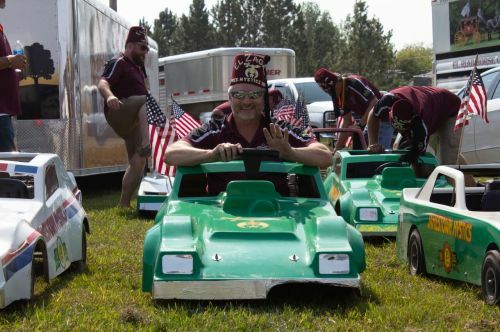 There’s much more to the Shriners than little cars, circuses and sparkly hats. 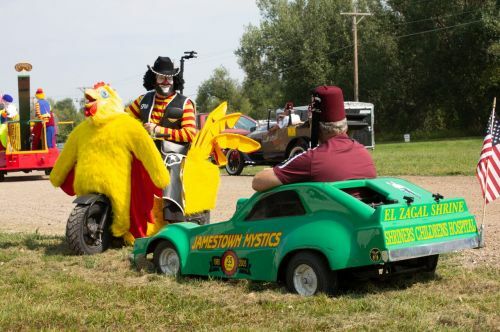 They raise a significant amount of money for local charities as well as for Shrine hospitals. El Zagal alone raised over $396,000 last year.